Find hotel near Indira Gandhi Rashtriya M .. The Indira Gandhi Rashtriya Manav Sangrahalaya (National Museum of Mankind) carries the stories of human and cultural evolution in India and is popular for its Tribal exhibitions that include tribal habitat, tools and lifestyle. 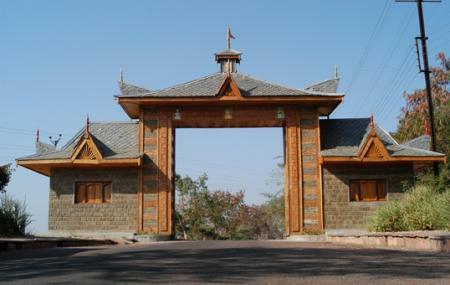 The Coastal Village, Desert Village, Himalayan Village exhibits along with the Mythological Trail and Traditional Technology park. The art exhibits showcased here that include vivid tribal creations. Tribal/ Ethnic dances performed at the open-air theater. Carry identity cards for discounted entry prices. Free Entry: Children upto 12 years. Open on: Every day except National Holidays. How popular is Indira Gandhi Rashtriya Manav Sangrahalaya-national Museum Of Mankind? People normally club together Van Vihar National Park and State Museum Of Madhya Pradesh while planning their visit to Indira Gandhi Rashtriya Manav Sangrahalaya-national Museum Of Mankind. A perfect place to spend your day. Its a whole campus situated in shyamala hills. Here you will witness the places and the cultures all the tribal communities of India live. The campus is very clean and its like a never ending place with hundreds of cultures to visit and learn from. A straight road takes you to a building where the museum, which is also very humongous place to visit with clothes, utensils, the instruments and the things they use in their daily lives. After completing the museum you can visit the open grounds and hills where all the sculptures are made. You will surely enjoy your whole day. After completing it, move towards the back side and you will exit in front of the Lake view. Lovely right? Must be one of the largest museums in India if not the largest one. Spread over a huge expanse of a hillscape, it tries to showcase the diversity of Indian culture through art and exhibits. Plus it also aims to present to us the details of our evolution. To do this place properly, you need at least 4 to 5 hours. Must visit with children. Informative educational and entertaining experience. Well maintained and clean. Located close to Tribal museum. Ample parking space. Canteen is available. Local public transport could be issue. Such an amazing place to visit in Bhopal, even a day is less to enjoy this open museum completely. Must visit place. Start early to enjoy full and yes, you can keep food with you atleast in your own vehicle. There is actual size home structure from different parts of India and there is a huge closed museum with almost 15 big galleries. It was my friends birthday. We carried a dslr with us , as we are photo lovers. A lot of pics were clicked. Some of them were magnificent clicks.